The Petty Thieves - "Heavy Soul"
The Petty Thieves are a Ska/Reggae/Soul/Funk phenomenon from Medway, Kent. The Thieves natural groove oozes through each track and creates a vibe that puts a spring in your step and walks you straight into a feel good zone. Their latest release “Heavy Soul,” is yet another step up for The Petty Thieves and we are super excited for what they can bring to the 2019 music scene. 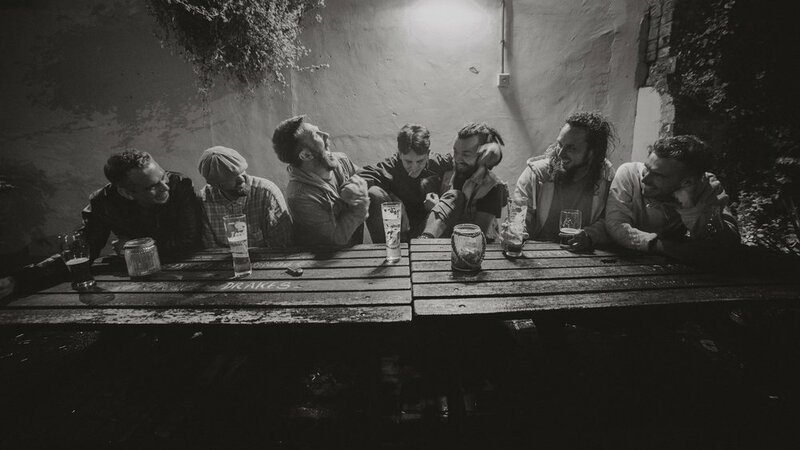 Since early 2016 The Petty Thieves have quickly established themselves in the local music scene, putting their dirty Reggae footprint firmly down in the Medway towns. The Thieves released their E.P 'Better Things' in 2017 leading them to play shows up and down the country, headlining Wigfest as well as main stage at One Love Festival, ending the year by support Ska legends Bad Manners at Concerde 2 in Brighton. 2018 has been a huge year for the Thieves and it kicked off with a new single 'Riddles Of Madness' in the build up to the thieving rapscallions eagerly anticipated debut album 'The Right To What Is Wrong'. The gigs came thick and fast, taking the underground Festival scene by the cahoonas. This summer they played Jurassic Fields Festival, Ey Up Mi Duck Fest, Chin Up Fest, Gig In The Park, Tonbridge Calling, Glastnost plus a headline slot at One Love Festival. 2019 has brought us “Heavy Soul” and to put it simply we LOVE LOVE LOVE this track and its accompanying music video. It has it all from smooth lyrics, complimenting harmonies, groovy reggae vibes, brass sections and an amazing break down sequence at 2:26 which gathers a strong momentum, before propelling us further into the raw feeling of the track. There is a real depth to the track, we have been looping it for hours and we still want more! “Heavy Soul” is an absolute hit with us, listen below and let us know your thoughts! Unit 48 are a Kent based experimental funk/pop band. They draw on influences from a range of artists from the likes of Snarky Puppy, Prince, Submotion Orchestra, Jack Garratt, The 1975, Knower, The Funk Apostles and so on. The band has recently released their live studio recording ‘Dopamine Girls’ and we are extremely impressed with the depth of talent within the band and are very excited about the fresh material these boys are bringing to the music scene. The track highlights how social media has potentially changed the outlook of relationships within society. What we love about the track is the amount of texture created from a live recording. Pumped up brass sections, punchy bass lines, keys and clever guitar work create a complete performance. The instrumental developments support each other and craft a masterpiece. The vocals are crisp and possess a raw passion that really connected with us as the audience. It’s almost like a more chilled out Streetlight Manifesto vibe. The instrumental section at 1:50 really shows Unit 48’s class and ability as musicians. We are hit with a range of developments that spiral us into a musical trance before bringing it straight back to the catchy hooks and chorus. As far as live track recordings are concerned this is up there with the best! Have a listen and let us know what you think! We highly recommend catching Unit 48 Live. We are 100% certain they will deliver a performance that you will not forget.